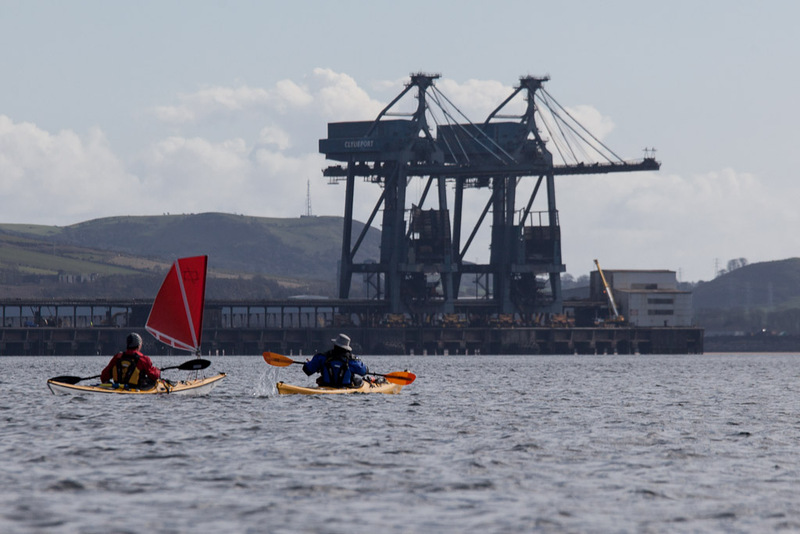 We proceeded down the Largs Channel towards the giant cranes of the Hunterston ore terminal. 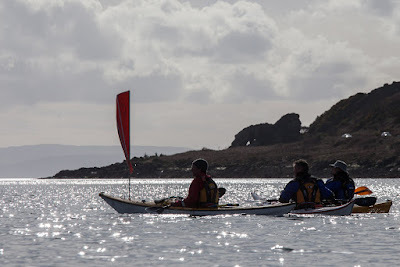 On the way, we passed the stone "lion" (a weathered basalt dyke) on the south end of the Great Cumbrae. 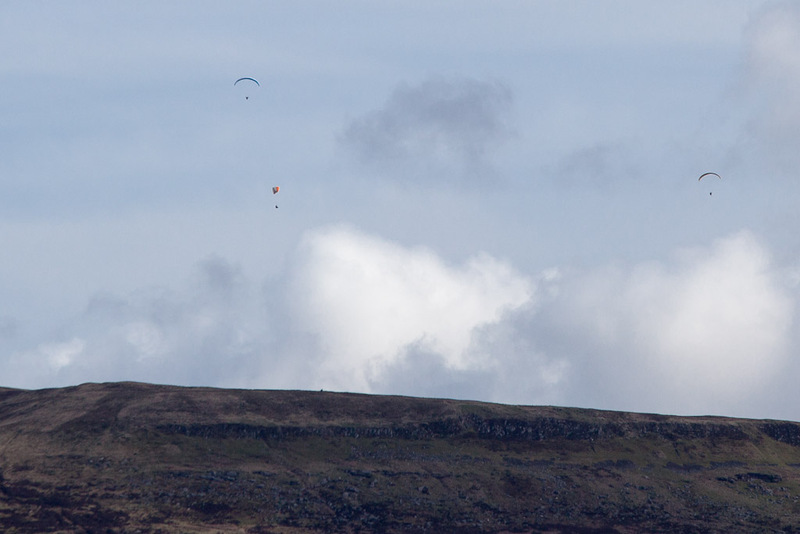 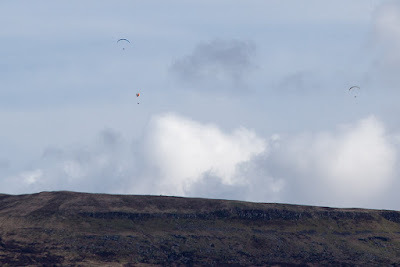 High above paragliders were enjoying the uplift above the Fairlie Hills. At sea level we were still able to sail across the Tan, which separates the two Cumbraes. 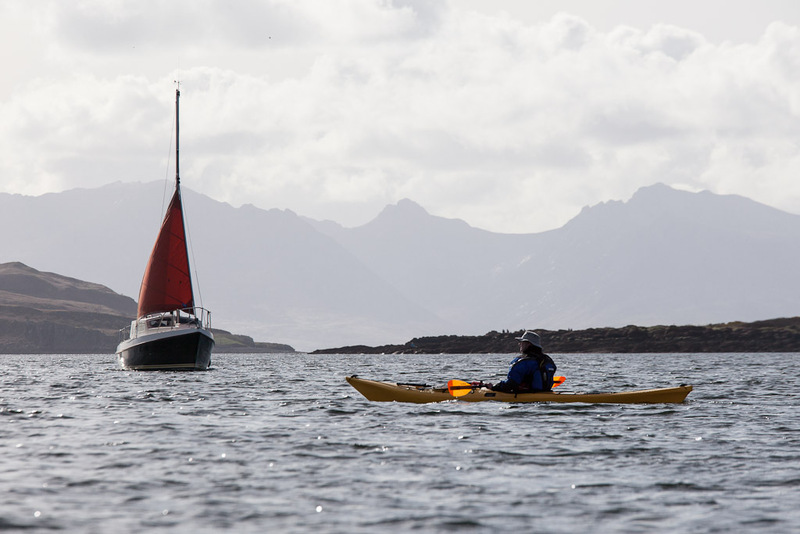 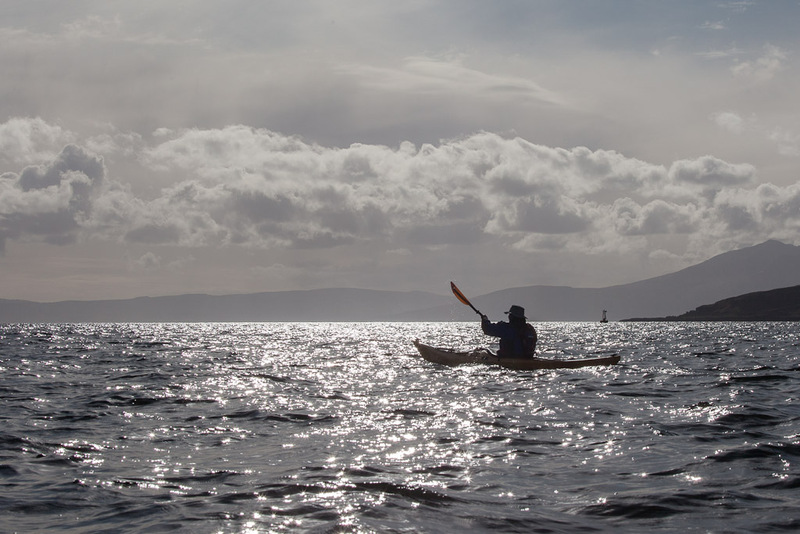 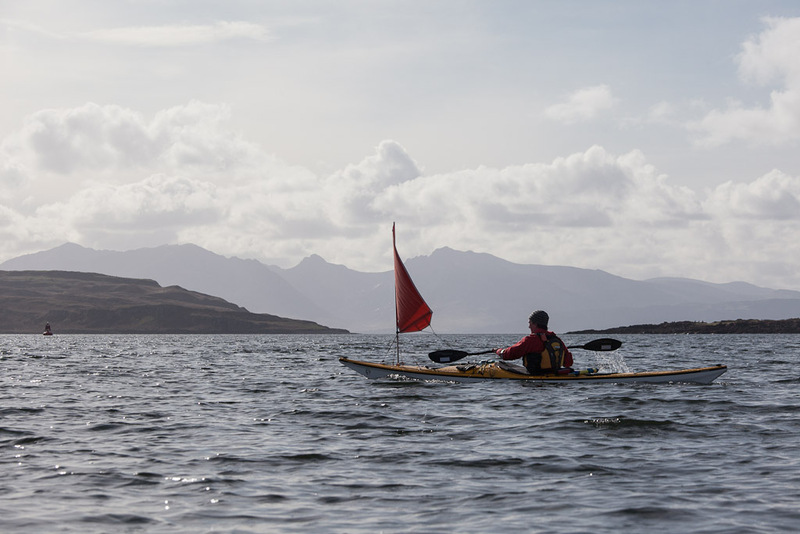 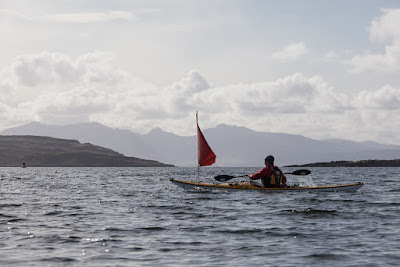 Colin and Andrew carried on paddling hard keeping up with the kayak sailors. 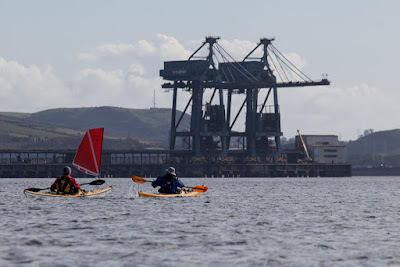 They paused only until a motor sailor decided on which way to turn. 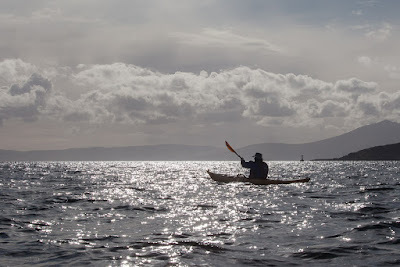 Finally the Firth opened out and we set off across the shipping channel to the Ayrshire side.